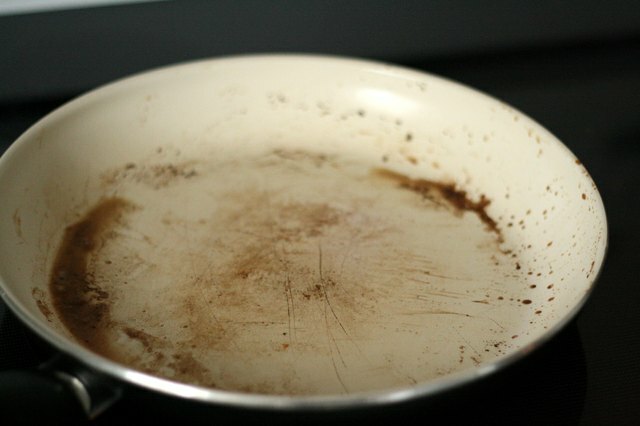 Discoloration and sticky spots are the bane of ceramic cookware lovers. Fat residue, impurities and hot spots are the usual suspects, with cooking sprays creating the biggest problem because of soy lecithin and other additives. 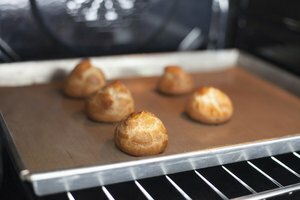 After a fat heats past its smoke point, it breaks down chemically, and, in addition to converting to artery-clogging trans fats, almost becomes one with the ceramic -- at least, it seems that way when you try to clean it. Never uses abrasives or wash a ceramic frying pan in a dishwasher; beside destroying the finish, it usually voids the warranty. Detach food debris using a wood, bamboo, silicone or plastic scraper. 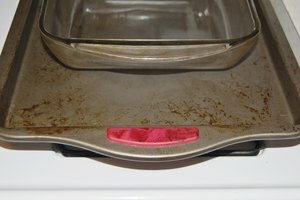 Moisten trouble areas with warm water, and let them congeal before scraping again. 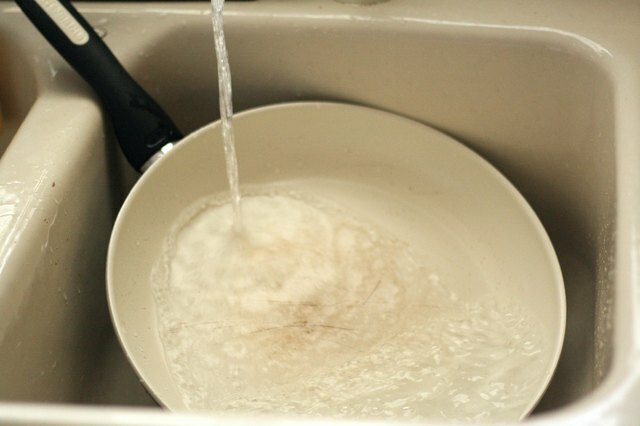 Wash the pan in warm water and mild dish detergent using a sponge or nylon brush. If the pan doesn't have an unglazed portion on the bottom, you can soak it for a few minutes. Rinse and dry the pan. 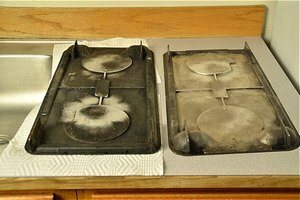 Make paste of equal parts baking soda and warm water, and coat the discolored, sticky areas. 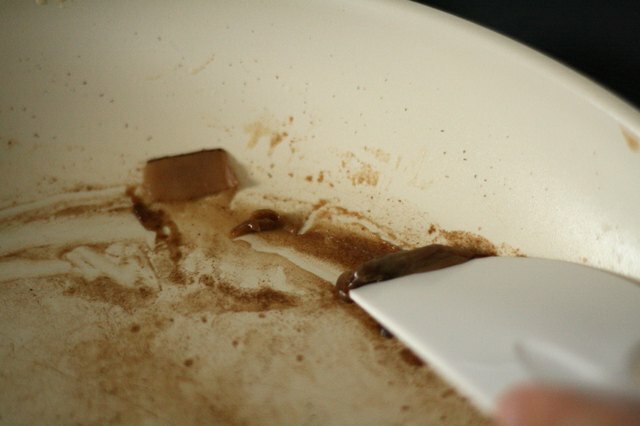 Scrub the paste into the pan using a nylon brush. Rinse and repeat as needed. Use a fat when you fry food in ceramic pans. 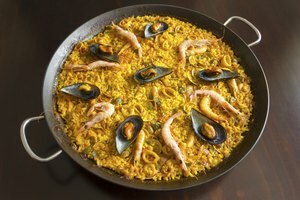 If you use the pan for other types of cooking, keep the bottom covered in moist food or liquid at all times. 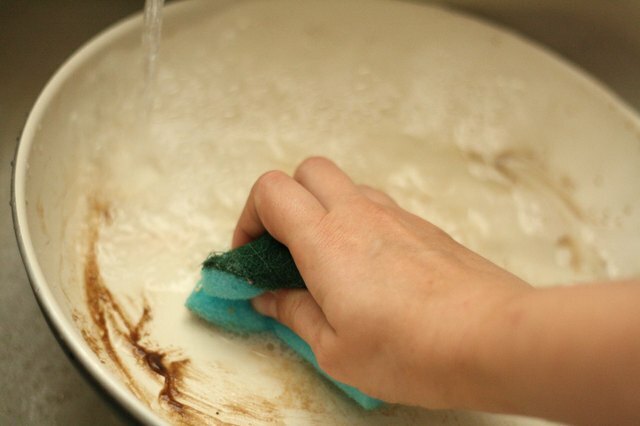 Dry cooking creates hot spots that overheat the ceramic and the food, leading to discoloration you can't scrub away. The Kitchn: How Do I Get the Grease Off My Ceramic Dish?